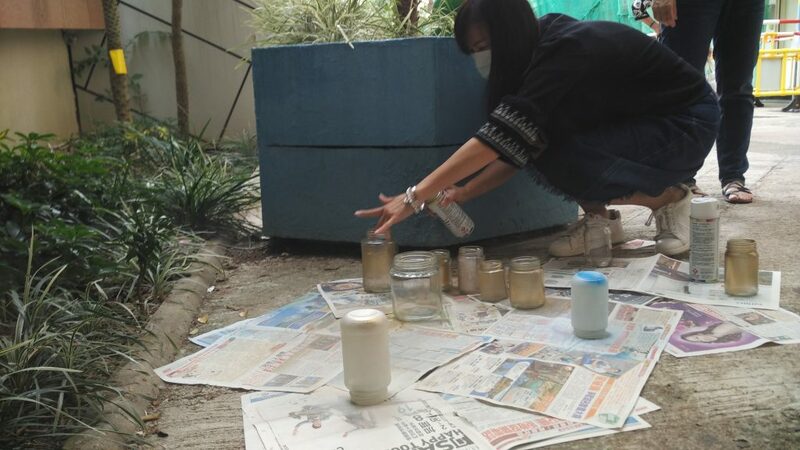 Before 11 November 2017 (Saturday), I had no idea standing outside on a windy day trying to escape the fumes of spray paint was going to be one of my cherished memories. Yet, here we are. 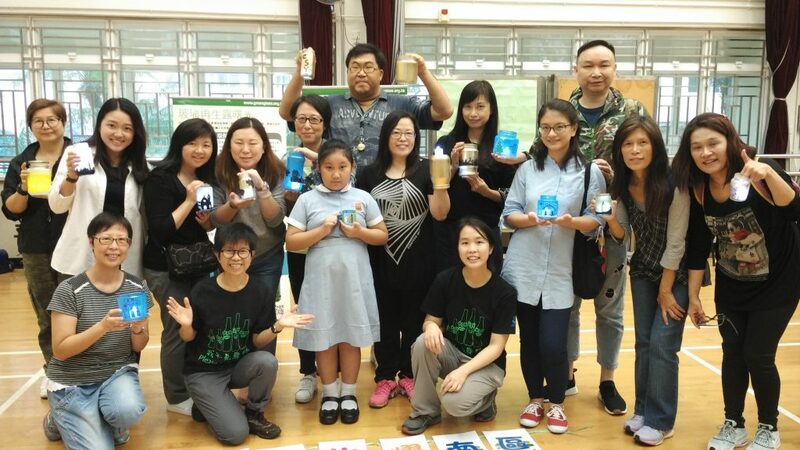 On 11 November, Southside Glass Recycling Initiative held a glass lantern workshop at Ap Lei Chau Community Hall. 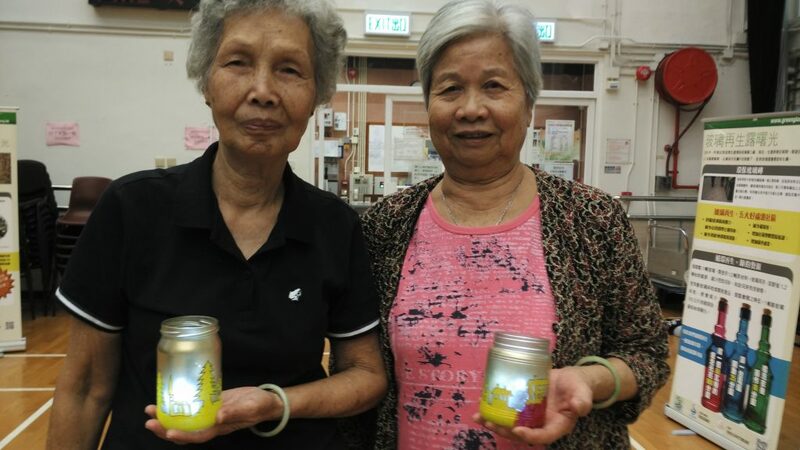 Nearly 30 people arrived to transform their old glass jars into something new and festive. 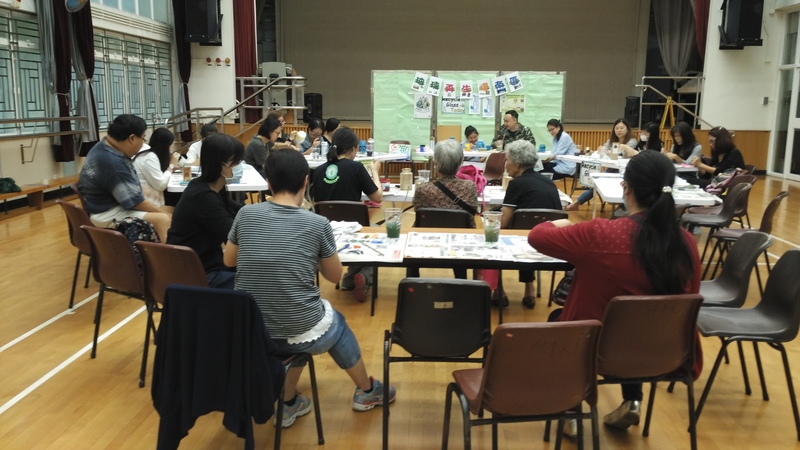 From grandmothers to young children, we were delighted to see such a diverse mix of individuals at the workshop. 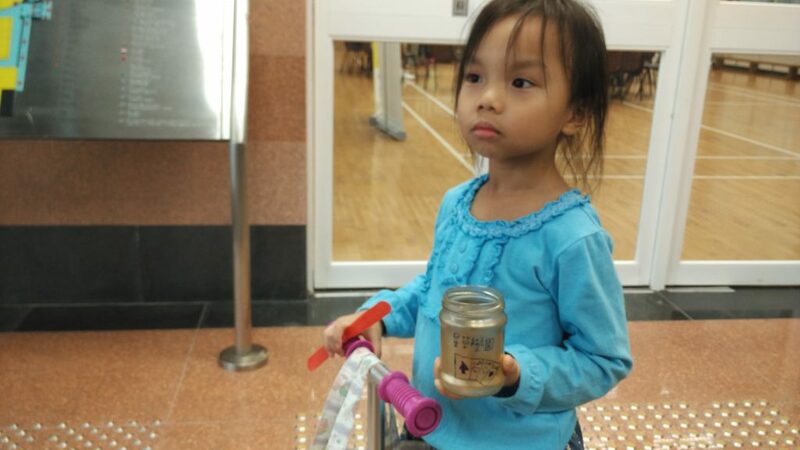 It truly shows that the spirit of upcycling and reusing is strong, no matter the generation. 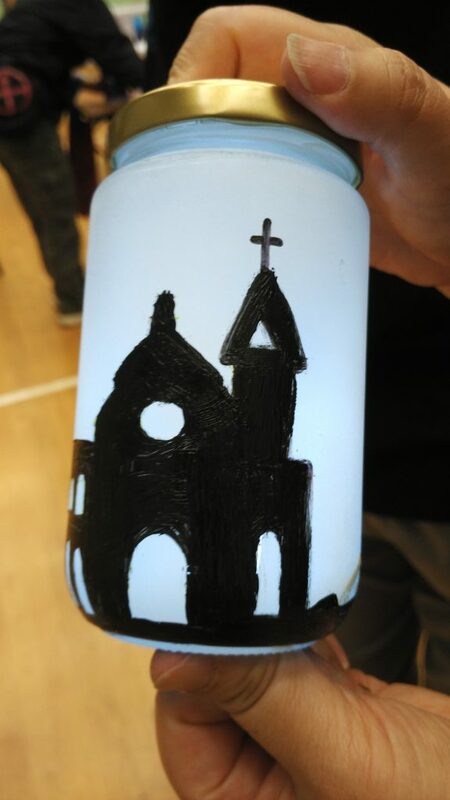 Everyone produced their own impressively designed glowing glass lanterns to bring home by the end of the session, as well as new knowledge regarding the glass recycling situation in Hong Kong. 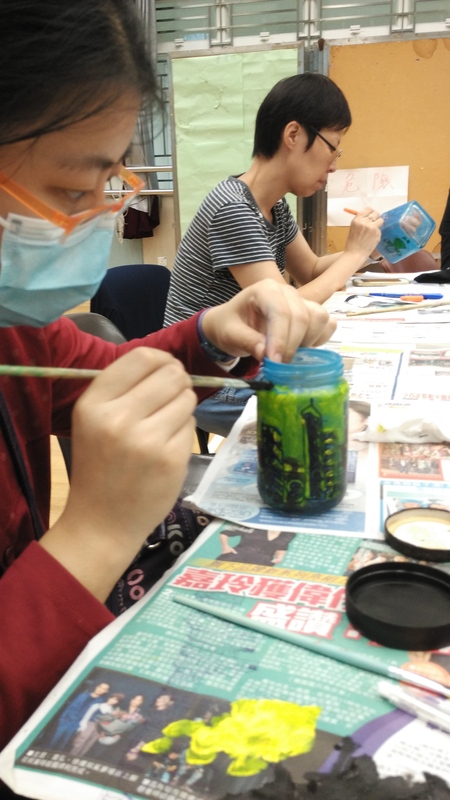 For those of you who came on Saturday and are interested in buying your own materials to make these lanterns at home – any arts and crafts store in Hong Kong should stock the requisite resources (spray paint, acrylic paint and paintbrushes). 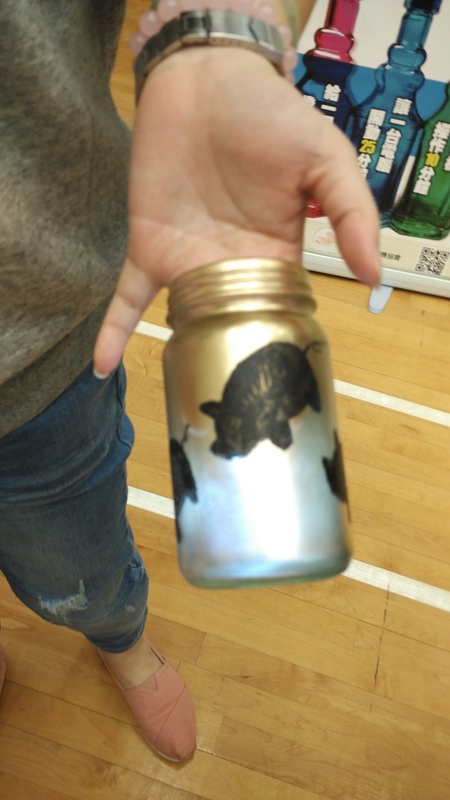 Remember to be careful when spray painting! 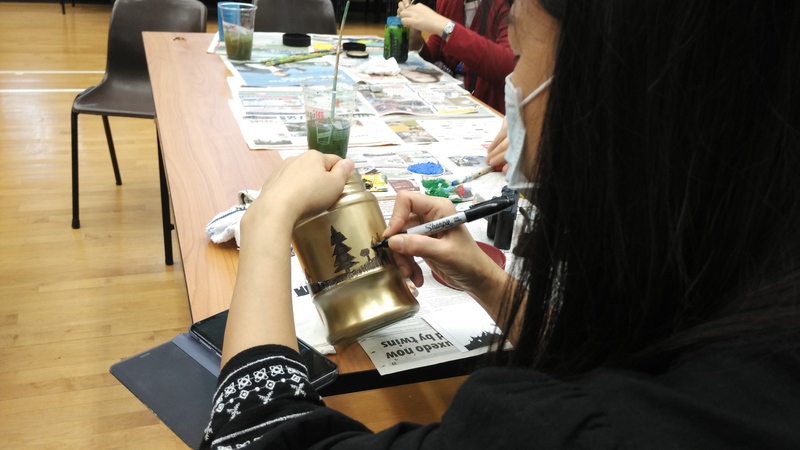 If you’re eager to come to another glass upcycling workshop (or experience one for the first time! 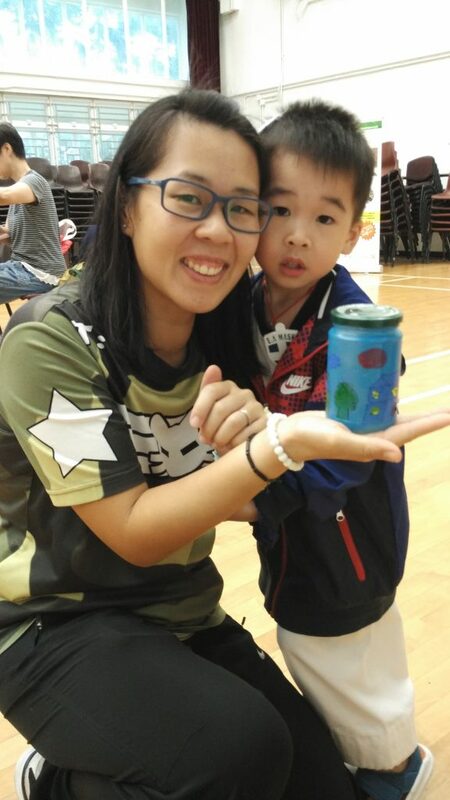 ), we have another coming up on 25 November 2017. 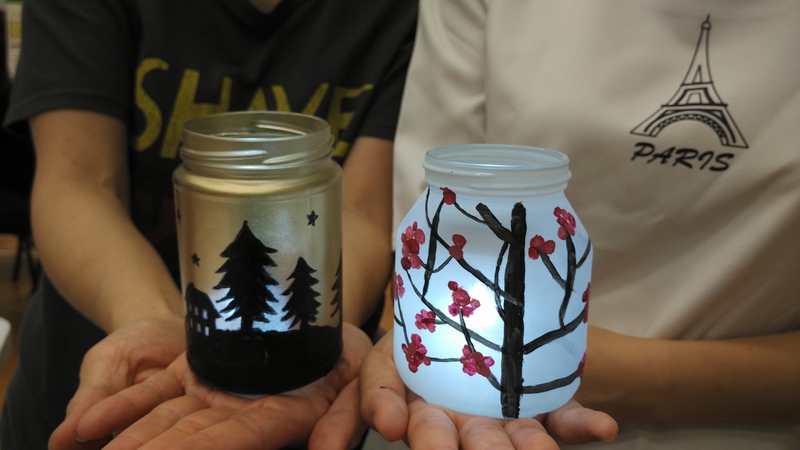 This time, we’ll be showing you how to craft your own pieces of glass jewelry. We’ll be posting more details about it soon, so keep an eye on our social media! 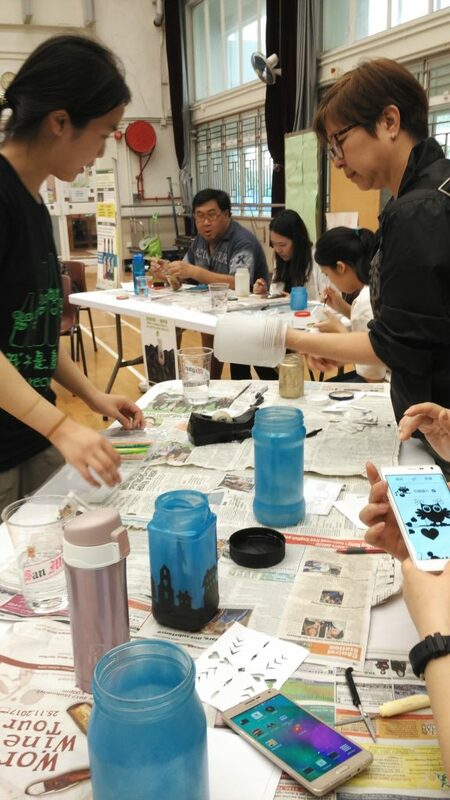 If you have any questions, or you want to be a volunteer for our glass recycling activities, please don’t hesitate to PM us, or give us a call/WhatsApp 5316 2907. 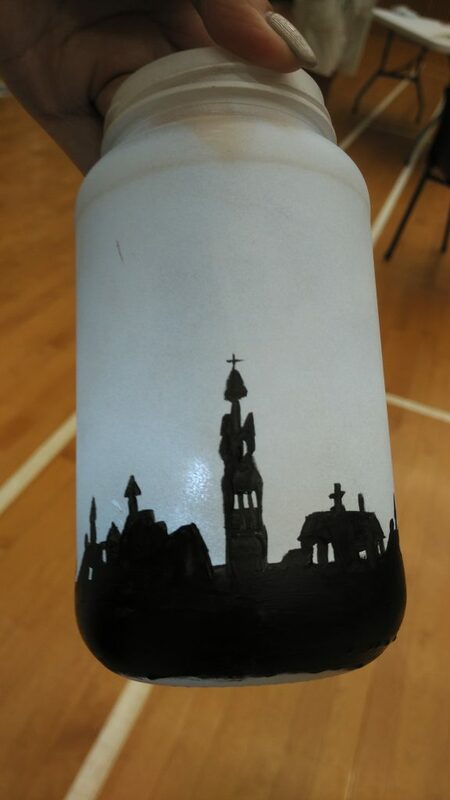 If you’re curious, have a look at the fun and creativity that went on last Saturday below! 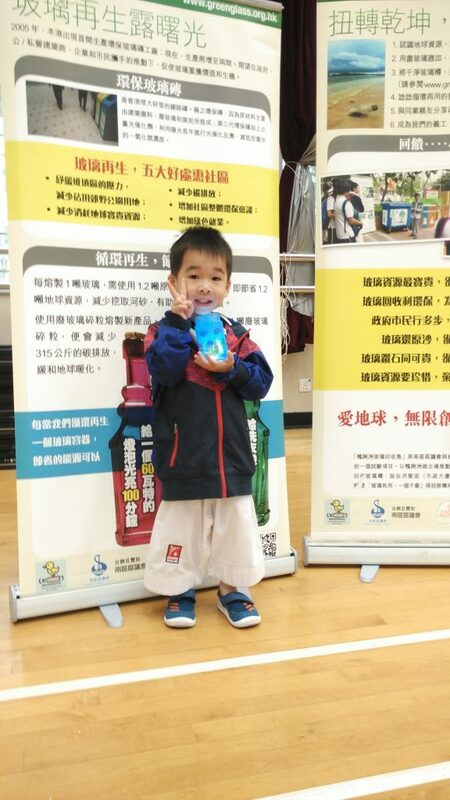 This entry was posted in English, News and Events, 新鮮熱報, 最新消息. Bookmark the permalink.